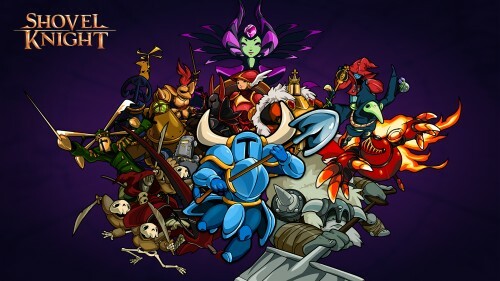 In this post, you will find all there is to know about the Software updates for Shovel Knight, including the expansions (Specter of Torment, Plague of Shadows, etc.). The base version was originally released on Wii U and Nintendo 3DS on June 26, 2014 in North America, November 5, 2014 in Europe, and June 30, 2016 in Japan. The Nintendo Switch version was released on March 3rd, 2017 in Europe and North America. NB: this page was created on March 31st 2017, and so, we’re only listing updates from Ver. 3.0 onwards. How to update Shovel Knight? select Shovel Knight, and then press + or – to bring the Options Menu. After that, select Software update, and Vita the Internet. if not, try to launch the game from the Home Menu (not the Quick Start Menu! ): you should get a prompt when doing so. Just follow the instructions on screen. use the option in the Nintendo eShop Settings. To check that you have the latest version installed, simply launch the game: the version number is displayed at the bottom of the Options screen). On Nintendo Switch, you can head to System Settings > Data Management > Software > select Shovel Knight. You should see the version number just below the game title. New: Japanese language options added (Kanji and Kana). Fix: (Shovel) Crash would occur when changing a single Body Swap setting for a boss, failing at that boss, and then revisiting the encounter. Fix: (Shovel) Respawn point drifting farther back during many repeated deaths at the Hall of Champions boss. Fix: (Plague) Failing to defeat Black Knight on the world map could sometimes lead to multiple encounters occupying the same space. Fix: (Specter) Specter Knight losing active attack frames when releasing a charged slash at the very end of a rail. Fix: (3DS) Crash would occur when changing costumes or using Bomb Burst while playing as Custom Knight or within amiibo Challenges. Fix: (3DS) Crash could sometimes occur when selecting certain items as Plague Knight using the touch screen while playing in French, Italian, or German. Fix: (Xbox) Crash would occur when completing the Turbo Tunnel mini-game in co-op. Fix: (Xbox) Crash would occur when completing the Turbo Tunnel in Challenge Mode. Fix: (PC): Lock up ould occur if the game window immediately lost focus on boot with certain option settings. Various text fixes for Body Swap mode. Fix: (Switch) Game starting in English when Switch system language is set to Japanese. Fix: (Switch) Crash that could occur when scanning amiibo frequently throughout long play sessions. Fix: Random armor cheat sometimes resulting in an unusable armor set. Fix: Bugs in certain lines of dialogue while playing and changing settings in Body Swap mode. Fix: Crash when changing Body Swap settings for only a single Boss, while fighting that Boss, falling in battle, and then retrying the encounter. Fix: Minor text error when changing game’s language under certain Body Swap conditions while on the Level Map. Fix (Specter): Starting Black Knight, Phantom Striker, or Treasure Knight with Skeleton Sniper or active lantern flames causing erroneous behavior. Fix: (Specter): Luan jumps prioritized better when backtracking through a room. Change(Specter): Adjusted visibility of certain background tiles found in Tower and Flying Machine stages. Fix: (Plague): Shadow blocks being destroyed by having an orbit bomb active during the penultimate boss battle. New: Specter of Torment is now available! Enjoy an entirely new prequel adventure starring the shadowy scythe spinner himself! New: Specter of Torment Challenges! Clear the game as Specter Knight to unlock. New: Sound Test is now available! Sound Test will be unlocked for each campaign after they have been cleared. 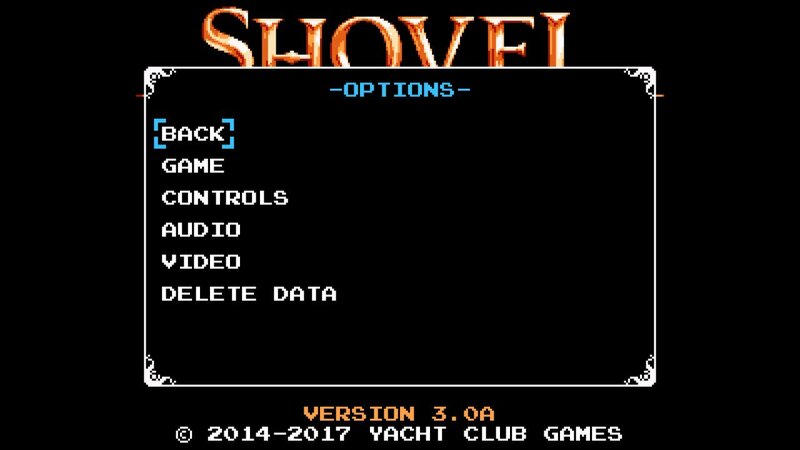 New: The original Shovel Knight campaign is now referred to as Shovel of Hope. New: Body Swap Mode is now available in Shovel of Hope! New: Co-op is now available in Shovel of Hope on all platforms with the exception of portables such as 3DS and Vita. New: Shovel Knight is now known as Shovel Knight: Treasure Trove! New: Five additional Plague of Shadows challenges have been added. Hit the books and brush up on your alchemical knowledge. “Saving” prompt has been reduced in size. New cheats have been added. Various bugfixes across the game. Various changes across the game for displaying Treasure Trove, Specter of Torment, and Shovel of Hope. Meet Madam Meeber! She can be found around the Village (Shovel Knight), Potionarium (Plague Knight), and even the Tower of Fate (Specter Knight). Custom Knight: Body Swap is now available as an option in Edit Appearance. Fix: Custom Knight: Infinidagger remaining active during certain cutscenes. No matter how hilarious the result happened to be. New: New Miiverse avatars from Specter of Torment are now selectable. Fix: Player 2 can now go into the options menu and bind his own, unsaved, bindings. Player 2’s controller will always start with default controller bindings, instead of inheriting Player 1’s. Fix: Clearing flicker states while being pulled through a flip door in co-op. Fix: Using the gamepad as Player 2 in co-op playing a repeating sound effect when selecting a blank relic slot. Fix: Stereoscopic issue with walking into tower as Shovel Knight. Fix: Streetpass Arena armor for 2nd player now shows original armor colors. Fix: Streetpass relic button now works properly in recordings/viewings. Click here for more Software and Firmware updates!